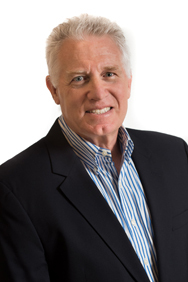 Using knowledge gained from more than 40 years in practice, Jeffrey Gilbert helps clients, particularly closely held businesses, with everything from tax planning and business management to setting a clear and dynamic company vision. He serves on Janover LLC’s Executive Board and Compensation Committee. As the former Chief Financial Officer of a $50 million garment importing company, Jeff brings a big picture, C-level perspective to the table as well as a keen eye for detail. He is a “go to” problem solver for clients and colleagues alike who value his practical voice of reason, and he makes it a point to approach any issue from all angles. With a motto of “never be surprised,” Jeff understands the value of thorough preparation when it comes to guiding and protecting his clients and keeping leverage on their side. Jeff is a member of the American Institute of CPAs and the New York State Society of CPAs. He has lectured for the Foundation of Accounting Education and at Purdue University, and he has written numerous articles on aviation tax topics. He was the Managing Partner of Gilbert & Levy, LLP before firm members joined Janover LLC in 2006. He received his Bachelor of Business Administration degree from the State University of New York at Buffalo and his Bachelor of Science degree in Economics from the State University of New York at New Paltz. He also attended Baruch College for post-graduate studies in Taxation. An avid pilot and certified flight instructor, Jeff has served on the Board of Directors of the National Association of Flight Instructors. He currently volunteers as a command pilot for Patient Airlift Services, a not-for-profit organization. He has also been a tae kwon do instructor who helped to launch regional karate programs for the Police Activities League of Nassau County. He and his wife, Margaret, have three grown children and five grandchildren (subject to change!) and have lived in Farmingdale, New York, since 1976.